In this Wednesday, Feb. 27, 2019, file photo, U.S. President Donald Trump shakes hands with North Korean leader Kim Jong Un in Hanoi. Secretary of State Mike Pompeo said Friday that the U.S. expects North Korean leader Kim Jong Un to honor his promise to keep his missile launches and nuclear tests on hold, speaking after a top North Korean official suggested the moratorium was under review and could be lifted. 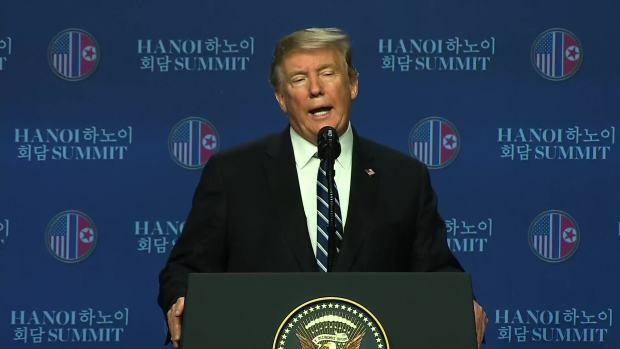 Pompeo said Kim told President Donald Trump several times at last month's summit in Vietnam that he would not restart the tests. "So that's Chairman Kim's word," Pompeo said. "We have every expectation he will live up to that commitment." 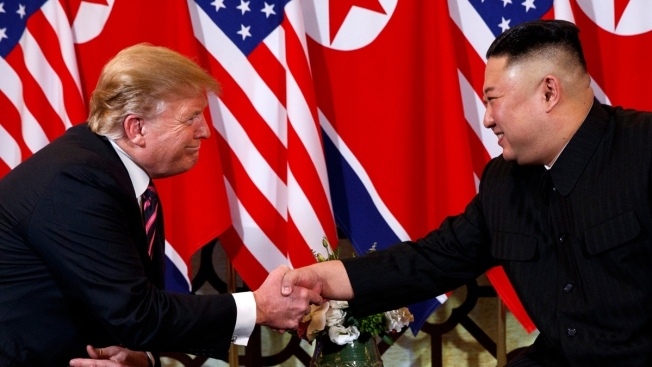 Vice Foreign Minister Choe Son Hui said earlier Friday in Pyongyang that Kim would soon decide if he wanted to continue talks with the U.S. about his nuclear program and whether he plans to maintain his moratorium on tests. She also claimed that Pompeo and Trump's national security adviser, John Bolton, created an atmosphere of hostility and mistrust at last month's nuclear summit in Hanoi, Vietnam. She suggested that while Trump was more willing to talk, Pompeo and Bolton made uncompromising demands of the North Koreans. 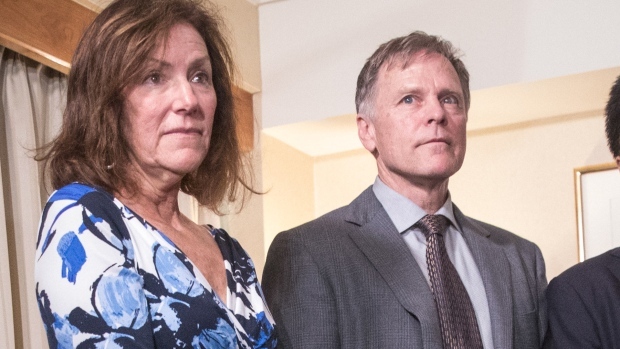 Choe said that on the return trip from the summit, Kim asked: "For what reason do we have to make this train trip again?" She added: "I want to make it clear that the gangster-like stand of the U.S. will eventually put the situation in danger." At the White House, Bolton disputed the allegation that he and Pompeo created a hostile environment at the summit. "I think that's inaccurate," he said. "The president is our decision-maker." Bolton said he's discussed the allegations with his South Korean counterpart. At a State Department briefing, Pompeo also denied it. "They're wrong about that, and I was there," Pompeo said, adding that he has detailed conversations with his North Korean counterpart, Kim Yong Chol. He said their relationship is "professional" and that he has every expectation they will continue their talks. He said it's not the first time that a North Korean has likened him to a gangster. "I have a vague recollection of being called 'gangster-like' from a visit that I took one time previously," Pompeo said. The vice foreign minister said Pyongyang has no intention of compromising or continuing talks unless the United States takes measures that are commensurate to the changes it has taken — such as the 15-month moratorium on launches and tests — and changes its "political calculation." Even so, she said, personal relations between the two leaders are still good "and the chemistry is mysteriously wonderful." Choe said it was up to Kim whether to continue the launch and test moratorium, and she expects him to "clarify his position" within a short period of time.